About 21 kilometres of tunnelling is being carried out for NorthConnex. The two main nine kilometre tunnels will carry motorists between the M1 Pacific Motorway and the Hills M2 Motorway and additional tunnels are being excavated for on and off ramps. The deepest part of the tunnel will be around 90 metres, passing under the Sydney Metro Northwest tunnel at Beecroft. More than half the tunnel is more than 60 metres deep – about the height of the Sydney Opera House. Why was Dashpivot used on NorthConnex? Dashpivot made it much easier for the engineers, foremen, project managers and entire teams to capture everything happening on site and keep track of progress in real-time. 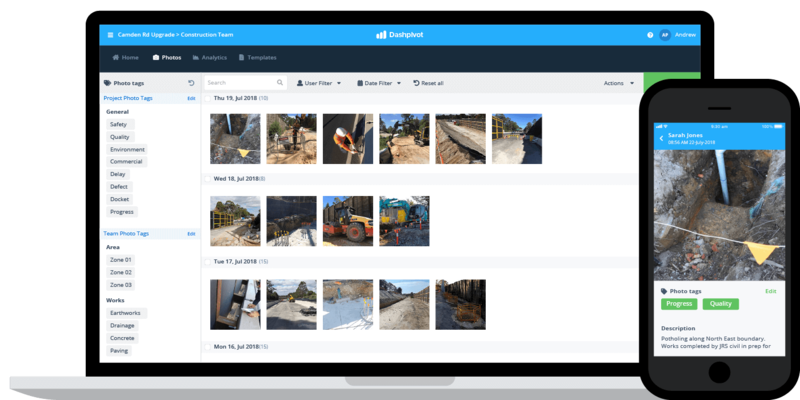 100,000+ photos and videos have been captured with the Dashpivot app on the NorthConnex project, from the surface and through the tunnels. When any of these 100,000+ photos or videos were captured on site, they were automatically uploaded to the picture takers individual Dashpivot account, as well as made accessible to their organisation and team - which made tracking progress and keeping more thorough records automatic. Many photos and videos were captured to track and document progress, while others were taken inside of specific forms to add proof or evidence to that form. The NorthConnex photos and videos were sorted and organised by smart tags such as safety and production, which made them easily traceable throughout the life of the project. One of the most common and powerful use cases for Dashpivot on NorthConnex was swapping out their paper-based and admin heavy forms for simple digital forms which could be completed on site or in the office. Instead of having to print out paper or jump back and forth between excel registers and word documents, Dashpivot enabled engineers, foremen and project managers to fill their digital forms out on the Dashpivot app (on tablet or mobile), and then simply log into the web platform when back at the office to edit or adjust their records; convert their records into a register format at the click of a button; or print and share them in excel or PDF format with their logo and branding automatically included. This saved hours and hours of admin, and also standardised the way that information was captured and shared across the project. Using apps and software can be tricky when underground (because of an obvious lack of internet), but Dashpivot worked for the teams when they were in the tunnel and offline, so that they could still capture their information when deep underground with the confidence that their data, photos and other information would be safely uploaded and stored when back above ground or on wifi. In the past, people working on projects like NorthConnex would often rely on email, word of mouth and standalone apps to manage their workflows, such as safety permits and hold points - where multiple stakeholders must signoff on the form or workflow before it is approved, closed or archived. 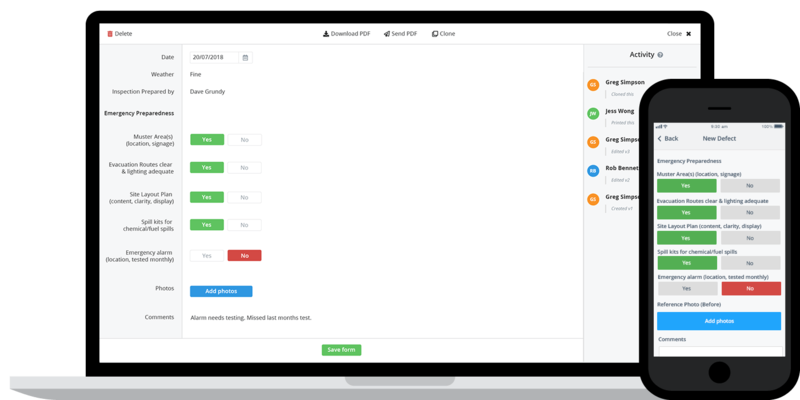 Dashpivot enabled these workflows to be entirely automated. With Dashpivot, a site engineer (or similar) would create a permit or issues a hold point on site, and the project manager (or next responsible party) would be instantly notified to signoff. All of these workflows and the notifications were customised to suit that specific team and use case. This streamlined and sped up the process from initial permit opening or documentation through to the action made. Project managers are able to rely on in-app and email notifications when their oversight or signature is required, rather than having to ask for and keep manual tabs on everything happening on site. In addition, project managers and management level employees could also get a quick overview of what was happening on site at any time with the live feed. They could see activity as it happened, and quickly navigate to that activity for a better understanding of that specific action. 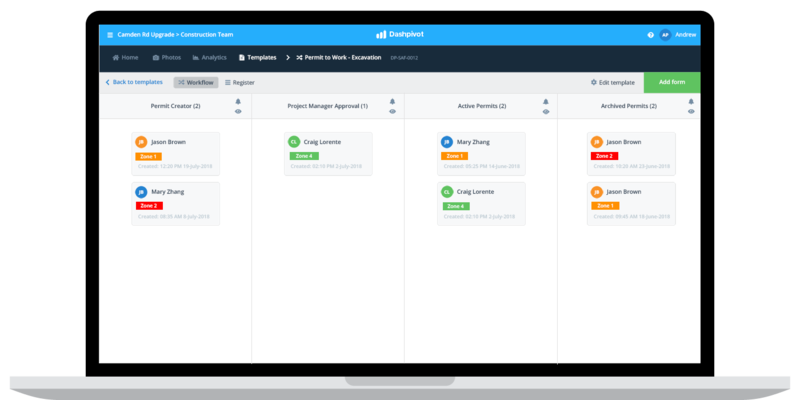 Dashpivot has enabled production teams and project managers to track production in real-time. When the people in site fill in their daily forms indicating how much tunnel road paving was done that day, that data is automatically pulled into an analytics dashboard which people can see in real-time. 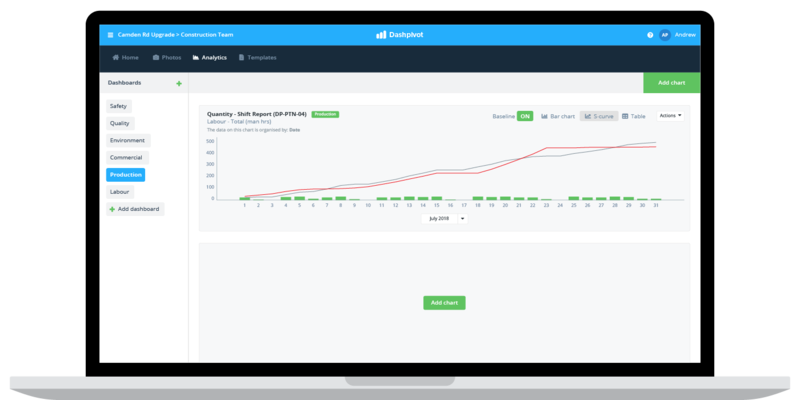 Instead of getting delayed data or trying to find and locate missing data and forms, Dashpivot collects and organises those all-important production insights into custom charts and dashboards. The general contractors are also able to get completely new insights such lost time per subcontractor, in order to better understand which subcontractors are performing well, which aren't, and who should be held accountable for certain changes and delays. What was the overall impact of Dashpivot on NorthConnex?